The Brazilian driver took top spot on the podium and scored maximum points in the Italian capital. 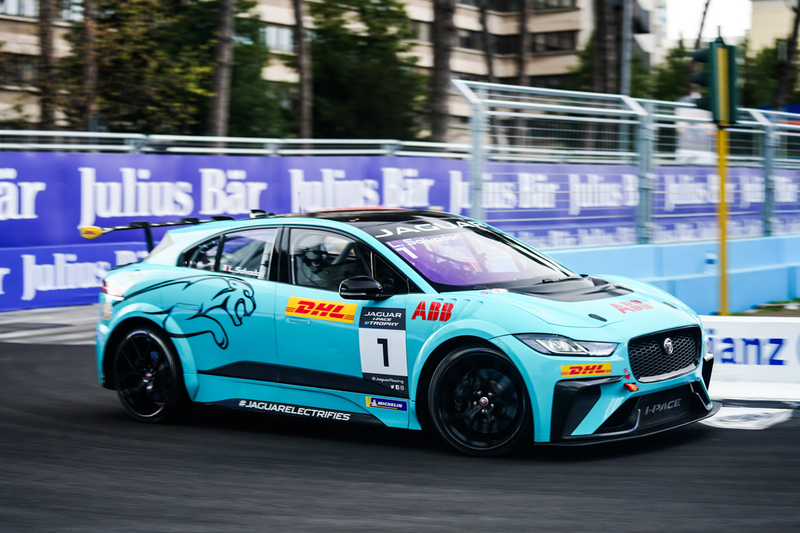 Sergio Jimenez, driver for Jaguar Brazil Racing, converted his pole position into 20 points at the first European race of the Jaguar I-Pace eTrophy series in Rome. The Brazilian took top spot on the podium and scored maximum points in the Italian capital. As the chequered flag fell at the end of the 25 minutes plus one lap race, Bryan Sellers and Simon Evans completed the podium in second and third respectively. Evans tussled closely with championship rival, Katherine Legge, on track but maintained his podium position. With seven minutes of racing action left, the rain came down in Rome which saw PRO-AM driver, Ahmed Bin Khanen, drive off the track and lose the PRO-AM race lead. His Saudi Racing teammate, Bandar Alesayi benefited from this mistake and now celebrates his fourth win in five races. Sergio Jimenez, Jaguar Brazil Racing said: “Taking my first win at the mid-way point of the championship is a great incentive to keep up my performance for the rest of the season. I have been on the podium three times but it feels brilliant to finally be in first position. Jaguar I-Pace eTrophy VIP driver, Luca Salvadori, had a successful first electric race in his home country, qualifying tenth and gaining two positions on track, finishing the weekend in eighth. The next Jaguar Jaguar I-Pace eTrophy race is in just two weeks’ time on 27th April 2019 in the French capital, Paris.